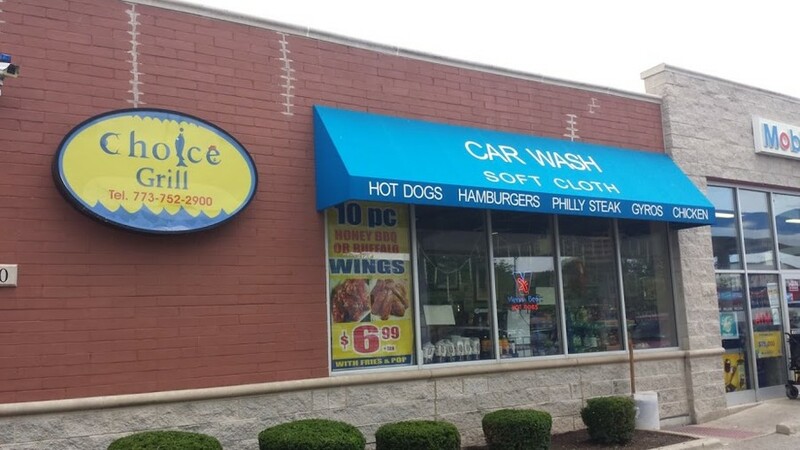 I discovered Choice Fish and Chicken, located at 850 East 63rd Street, as a byproduct of a personal quest to find a reliable supplier of RC Cola. RC, which is a registered trademark of the Dr. Pepper Snapple Group­—if you think I’m talking about a scrub generic soda, then please go home and drink your Wildwood Cola­—is the greatest cola. It is complex and extremely carbonated, and is so fly that corporate doesn’t even put in a serious advertising effort for its totally rad product. Unfortunately, the Hyde Park Walgreens and CVS are inconsistent, at best, with regard to stocking this product; the Mobil station just east of the CTA Green Line on East 63rd Street picks up the ball. RC is always in stock, and that two-liter bottle only runs $1.11, even after the assorted Rahm Taxes. As the convenience store shares building space with Choice, I figured on a recent visit that I’d try pairing an egregious amount of sugar with an offensive quantity of fat. The name of this fast food joint is ambiguous, as the takeout bags read “Choice Fish and Chicken,” but the outdoor sign says “Choice Grill.” It’s kind of a moot point, though—not only is everything deep fried, but an attempt to order something “grilled” would desecrate the spirit of eating out of a plastic container at a gas station. I ordered an Italian Beef sandwich and three fried chicken wings, which included a few sides of fries and a Pepsi as throw-ins. As I had my RC, the Pepsi was a throw-out. Everything ran 11 dollars flat. As would not be expected from a takeout window at a Mobil station, the food was surprisingly palatable. The Italian beef was everything that it was supposed to be—a steaming mass of about a pound of probably beef on a gravy-dipped roll. The sandwich was also garnished with a mix of banana and cayenne peppers, which was an unexpected luxury at the price point. The fries were also legitimate contenders, and were the best part of the meal. With astonishing regularity, most fast food places within a 10-block radius of this campus use the same smooth, medium-cut fries in which the criterion for “good” is really whether or not they are hot. These were different—thicker, although not to the extent of steak fries, and flaky, with a strong potato flavor. Parallel fries can be found alongside bowls of clam chowder in my favorite, lovable, hole-in-the-wall seafood shacks in New England. Much like the peppers, I did not expect them here. The wings were decent to the taste, but lacked the definitive fried-hard crust of a Harold’s Chicken Shack or an equivalent. I would gladly forgive Choice for not serving stellar wings, as it is an operation running out of the corner of a gas station had it not put “Fish and Chicken” in the restaurant name. To put a particular food in your title and not own it is disappointing; minor demerit. My major beef with this place is not with the beef, but with the sauce. As per the South Side standard, Choice serves a vinegar-based hot sauce and a ketchup/BBQ-based mild sauce as toppings for its chicken, fries, and…I didn't have enough of a death wish to get their fish, but the fish, too. I should have known better when the cashier put the sauce into little takeout cups, which she then put in the bag with the rest of the order. Trust me, staking out South Side BBQ places is a hobby very dear to my heart: Convention is to put the sauce directly on the meat, unless a customer explicitly asks for it on the side. Failing to act on this piece of knowledge, I dumped both Choice sauces on the chicken wings after having eaten one blank. The hot sauce had no vinegar, and was sickly sweet. The mild sauce probably contained neither BBQ sauce nor ketchup; but true to its name, it was not spicy. It, like the hot sauce, was absolutely horrid. I killed the taste with some RC Cola. It remained a good afternoon.